Don't be cruel to a heart that's true. 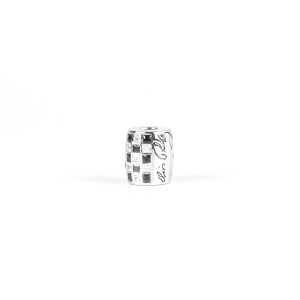 This sterling silver barrel shaped bead charm features white and black crystals with Elvis' signature. 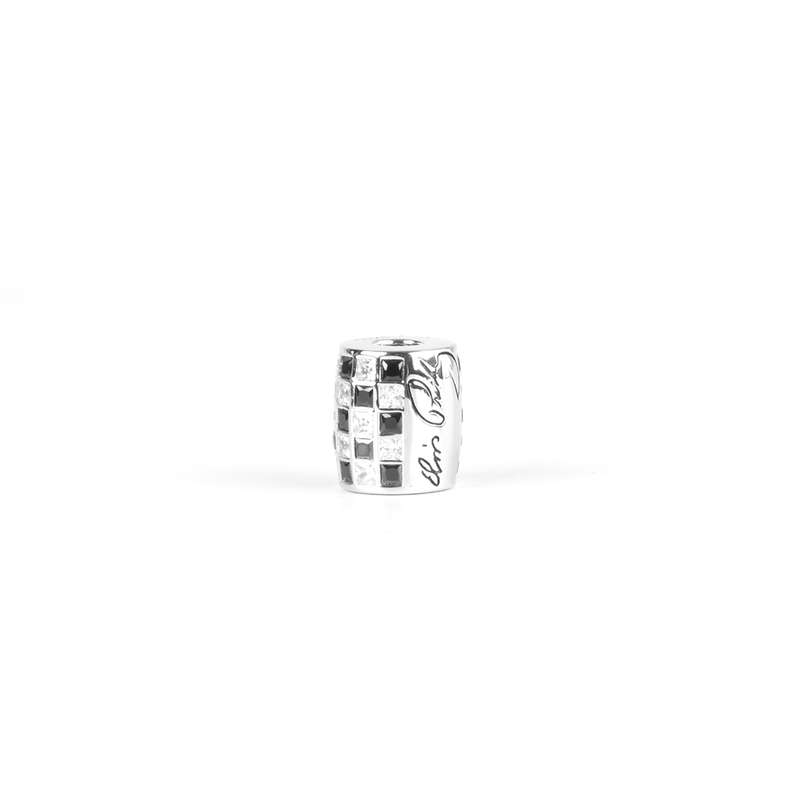 Compatible with most major brands of charm bracelets.